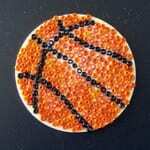 This post was originally published on August 19, 2008. It was substantially revised and re-posted on August 31, 2015. When this post first ran in 2008, I wrote that this name “seems poised to be the Next Big Thing.” Seven years later, that’s come true. 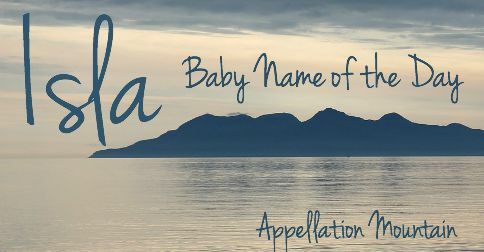 Thanks to Kayt for suggesting our Baby Name of the Day: Isla. If your first exposure to Isla was Spanish 101, or maybe Madonna’s 1987 single “La Isla Bonita,” you may have assumed the name was pronounced EES lah. That’s accurate en español, but the name that’s rising fast today has a silent ‘s’ – EYE lah. It’s Scottish, from the island of Islay, part of the Hebrides and known for its traditional whisky distilleries. The Scottish place name probably has nothing to do with geography. The name was recorded as Il, Yla, Ila, Ilea, and Ile – the Gaelic spelling – over the centuries. There are lots of stories about how the island got its name, some including a princess. I couldn’t find any single explanation that seemed credible. So while it’s quite romantic to imagine that a wandering Danish princess called Yla lent her name to the island, it’s probably not so. Isla Fisher was born in Australia to Scottish parents. She graduated from Australian television to American movies. 2005’s comedy Wedding Crashers was her big break. 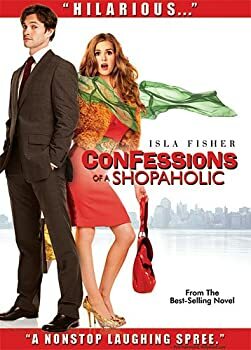 Fisher played Sophie Kinsella’s beloved Becky Bloomwood in the big screen version of Confessions of a Shopaholic. She was Henley in Now You See Me and Myrtle in The Great Gatsby. In the US, the name’s rise is closely tied to Ms. Fisher’s success. But in the UK, especially in Scotland, the popularity of Isla predates the actress, and she’s not the first notable bearer of the name. British actress Isla Blair’s career started in the 1960s. Singer Isla St. Clair – born Isabella – recorded her first album of traditional Scottish folk songs in 1971, and later became a successful television host. Isla is a solid Top Ten choice in the UK in 2014. In fact, Queen Elizabeth II has a great-granddaughter named Isla – the daughter of Peter Phillips, son of Princess Anne. She’s currently 15th in the line of succession. Isla had dipped a toe in the US Top 1000 a few times in the late nineteenth and early twentieth centuries, but it was pretty obscure until recently. The very similar Ayla had fared better, entering the US Top 1000 in 1987 and peaking at #250 in 2012. The name currently ranks #277. Ayla could be Turkish name referring to the moon, a Hebrew name meaning oak tree, or a borrowing from Jean M. Auel’s 1980 bestseller Clan of the Cave Bear. Darryl Hannah played Ayla in the 1986 movie adaptation, so it looks like that’s what inspired parents. We love names that start with vowels, like Amelia and Isabella. Short, nickame-proof names are quite current, too, from Ava and Zoe to Emma and Mila. Despite the difference in pronunciation, Isla still feels a little bit like a tropical island name. After all, we don’t say the ‘s’ in island, either. With names from the map and the natural world so in vogue, Isla is an obvious fit. It’s easy to imagine parents choosing Isla as an alternative to Top Ten names like Mia. It’s also easy to imagine parents fretting that Isla is heading for the top of the charts, too. Isla could be a great substitute for parents looking for something short, sweet, complete and not in the Top Ten – yet. Do you think Isla is headed for the US Top 100? Top Ten? Readers in Australia and the UK, is Isla everywhere? I hesitate to call Isla nickname-proof. Since our Isla was 2 days old, my husband’s called her “Isla-bug, because she was so petite as a baby. My 2yr old added an “a” to the bug part – she’s “Isla-bugga” or just “bugga”. Unfortunately, when the kids get older in a few years, “bugga” could turn into “booger”.. Oops. Still, Isla is a beautiful name and it fits her so well. Oh my! My Isla is also “Isla Bug.” That’s so funny! I love the nickname. The traditional way of pronouncing Ayla, as it is still pronounced in Turkey and in nearby areas is actually “eye-lah”. 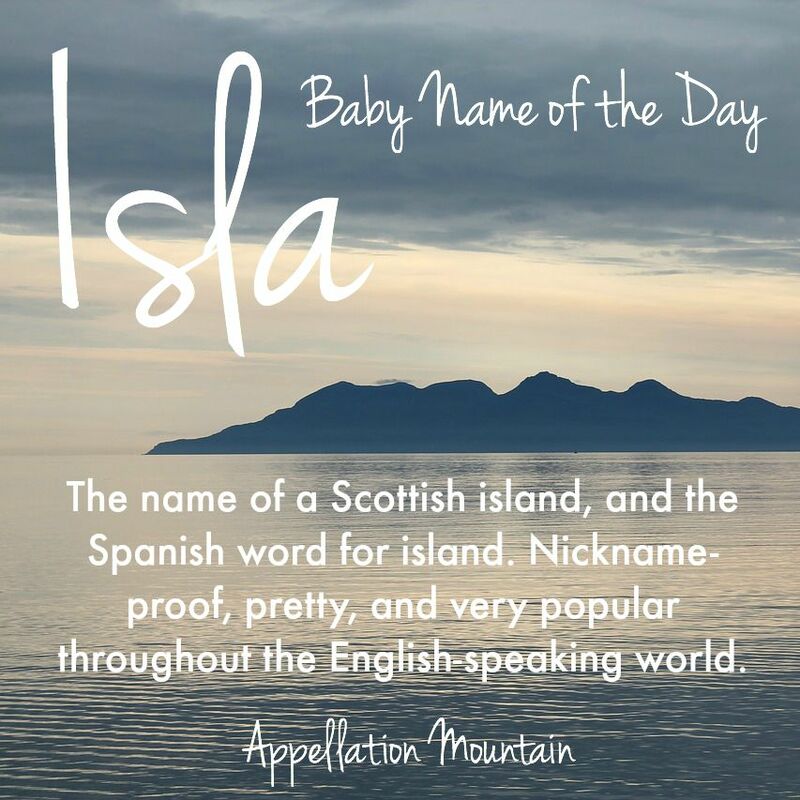 Isla is such a pretty name, I’m so glad it’s here. I’m Spanish however and everyone here would pronounce it EES-LA. I definitely prefer that pronounciation. EYE-LA makes me think of a great big eyeball..lol. Isla in Spanish means ‘island’. Puerto Rico’s nickname isn’t ‘Isla’. It’s ‘La Isla Encantadora’ (The Enchanted Island). I too love Isla, but perhaps that’s just because it’s my name, and has been for 28 years. I’m the only Isla I know, although I have had a few little girls named after my name. Not too happy with its popularity rising, although that may mean that it will be mis-pronounced less often. Love the name Isla (pronounced Eye-lah). It was actually my grandmother’s name only she spelled it Ilah. I have never been able to find it spelled that way in any baby name books – so now I wonder if her parents heard the name “Isla” and thought it was spelled Ilah? Interesting. My Great-Aunt’s name is Ila, I think they spelled it that way so it was easier to pronounce. I named my 6 month old daughter Isla Clementine and I still love it – I think it’s such a pretty, girly name. I hope she thinks so too when she’s older and doesn’t hate me because she’ll probably always have to spell it! Ellen, I just adore your daughter’s name! So sweet! Isla and Clementine are two of my top 4 choices, though I have never thought of pairing them together. My other 2 choices are Avery and Rae. 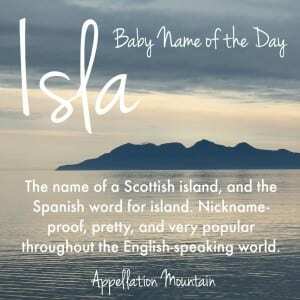 I love the name Isla. My wife and I have a daughter named Anya and we are expecting her little sister. I think Anya and Isla sound really sweet together. Anyone think that sounds hokey? My wife is losing interest in the name, and I’m trying to convince her otherwise. We live in the US and many those that we have consulted about the name use the spanish pronounciation, EES-Lah. I am hopelessly hooked on this name, but I wonder if the constant need to correct people will be harmful, or rather a memorable conversation piece. Or perhaps both? 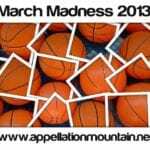 We have about 5 months to make a decision. How far doth a man dare push the limits to convince his pregnant wife that Anya needs an Isla? I suppose a good benchmark would be the point when the pregnant wife threatens to relieve the zealous husband of his facilities needed to create a third child, yes? I think it’s cute! Some might find a bit too matchy. I think if you stress the different syllables, it should be ok. In terms of of the pronunciation, it’s a 50/50 split. You’re always going to have to deal with it. I don’t think it can harm the child or person , it’s only going to be an annoying occurrence. Worst case scenario, she decides to use that pronunciation.But, it’s a 50/50 split, so it should still be ok to use. I love that name & half the people I’ve been around have said it as either EYE-luh or EES-lah. So, it should be ok . Overall, I don’t think it will be harmful to the kid at all. Just be prepared to correct people. Anya and Isla are lovely together, Sammy! I’m in Metro DC, in a community with a high percentage of Spanish speakers. I’m sure Isla would EES lah some of the time – but then, it isn’t as if it would be difficult to explain the correct pronunciation. It isn’t as if you’re naming her Ahyarekloujja, pronounced Bill. The problem with Isla and Anya is that, should you have a third daughter, you’d have narrowed your pool of possible names. Anya, Isla and Una, maybe. Or Anya, Isla and Clea. But you’d need another vowel-heavy short name. And if a third doesn’t come readily to mind, it might make sense to steer clear of Isla, much as it is lovely. I love the name…. I have a daughter named Iyla…. I was going to spell it the traditional way but my 6 year old kept writing it with a ‘y’ as she uses pollyphonics at school! Thought I was being really different choosing her name but have met several iylas since (my daughter is 17 months now) it is certainly on the rise!!! I love my name! But I hate that nobody seems to be able to spell it when they hear it pronounced or say it right when they see it written down. Maybe it’s an English thing, ‘cos Scots and Americans never have any problem (unless they’re from a Spanish background). And, by the way, I HATE being called Iz-la, although my nickname is Izzy. Weird, huh? Sadly, my name is becoming less unusual, and I may just become one in a crowd, instead of standing out :(. Our daughter was born in May, Isla Audrey! Still happy with her name, although yesterday at the ped’s office, another approximately six month old baby girl was there, named, of course, Isla! LOL That was the first one I’d ever met though. I have no regrets. I am sure it will gain in popularity, but it is still a beautiful name. 🙂 Big brother Ronan loves her to bits. I realize you posted awhile ago, but I had to comment. I was researching Isla because it’s our number one girls name right now…. and I already have a son named Ronan!! That’s fabulous – what a great sibset! I have a 2 year old girl who we named Isla Rose. I love the name and it seems everyone else does. I always get comments on her name. I have come across a few other Isla’s since having my daughter but it doesn’t seem to be getting too popular(thank goodness!!) My first daughter i named Sophie and there are sooo many Sophie’s now!! I think Isla is a beautiful name and it suits her perfectly!! My husband and I adore this name. I’m due with a girl in May and she has been Isla as soon as we found out I was pregnant. I think it fits beautifully with our son’s name – Ronan. I do fear for any skyrocketing in popularity, but I think that Lila is going to fill that spot far quicker. Congratulations, Catherine! I love Ronan, too – there’s a toddler Ronan on our block. And Ronan and Isla together? That’s a great pairing. Let us know when she arrives! This is a name I have recently fallen in love with. I find it wind-swept, tropical, and languidly beautiful. My husband pooh-poohs it, however, because he thinks everyone would call her EES-la, and she’d have to correct everyone her whole life (speaking as someone who has had to correct other people’s spellings of MY name my entire life, this is an argument that hits me where I live). So I’ve regrettably put her back on the shelf; pretty to look at, but not to touch. My daughters name is Isla Juliet. She is almost a year old. I dread the day when the name sky rockets. Im not into trendy or popular names and now all of a sudden Isla is popping up all over the boards. Its a little scary. I named Isla after my husbands Grandma. Im from Australia and even though Isla FIsher is Australian and Ive known of her my whole life basically, Ive never even considered her as a connection to the name. Strange. I really do love Isla and I feel that it fits into a quirky old fashioned name rather than a trendy modern name. My other kids are Oscar and Beatrix and I think it fits in great. Isla was in my top 5 until I discovered there was an actress by this name. I’m so afraid we’ll see its popularity skyrocket over the next few years. That being said, though, it still makes a great alternative for Ella, Emma, and Ava, at least for the time being. I agree with RockingFetal, though, that it doesn’t have the kind of known history I usually like in my favorite baby names. That’s interesting – I only have access to the US ancestry.com – I should probably upgrade – and Isla first pops up closer to 1880. 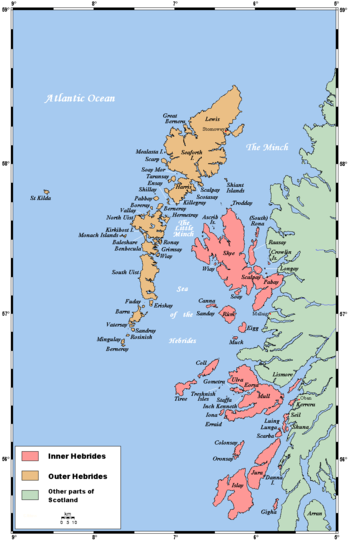 What strikes me as curious is that those early Islas often have surnames that are definitely not Scottish or English. While it happens all the time, I can’t imagine a non-Scottish parent becoming aware of the name so early. 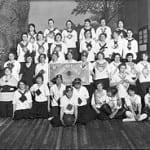 Maybe there was something – a song, a poem – not well-known enough to survive into the 21st century, but enough to influence a handful of parents? Or hey, maybe some of those Islas just married guys from Germany and points East. Yes she was a Lila and that’s my first recollection of it too! Not one of the earliest bearers as she would have had to be born about 1900. You made me curious so I checked for Isla in ancestry.com, well England anyway and the first find is from 1840. For Islay, 1816. Gemmy, you have a great grandmother called Isla? She must be one of the earliest bearers of the name. That’s fascinating! And I think you’re quite right about Lila. The only time I remember hearing her before was in the old Sweet Valley High books – wasn’t the rich girl named Lilah? But she’s got a lot of buzz these days, that’s certain. I CAN’T see Isla being the new Ava at all. I think the confusion with the Spanish word is also likely to impinge on any potential massive popularity in the United States. Now, Lila. There’s a name that’s going to be huge. It’s already gaining ground. I can see Lila being the next Ava for sure. I have to groan at Gloria. It’s garish! BTW Isla is my great grandmother’s name. Hmm Isla… well Brits have been aware of Isla Fisher for quite a lot longer than Americans as she appeared in a popular Aussie soap screened here for a few years (and was often in celebrity magazines). In addition, the footballer Frank Lampard and athlete Paula Radcliffe have both named offspring Isla in the last couple of years – neither of which is particularly noteworthy but contribute to the name Isla percolating into our national psyche (and thus explain why she is – out of nowhere – charging up our charts to her current ranking of 70). Personally, I am confused by my reaction to the name Isla. I hate following the crowd but am well aware that while I have a crush on the name now, I paid her no attention just a couple of short years ago. In the current climate, Isla sounds fresh yet old fashioned and is unfussy without being dull. I would most likely steer clear of her though as she is no doubt set to reach even greater heights of popularity and such a huge upsurge in usage would diminish her most appealing quality: mysteriousness. Now Olive, there’s a name I LOVE. Scotlyn – GROAN! But I’m sure they’re out there. RF, LOL at “name civilian.” And it *is* modern, which surprised me. DH, you’re right – Isla feels like Mia and Ava – easy to wear with almost any last name and bound to have broad appeal. At the moment, Isla seems like a good substitute for parents dismayed to learn that Ava is in the Top Ten. I can see the appeal of EES lah – I assumed that’s how it was pronounced, based on my tragic Spanglish. Isla is just okay to me, though I can see the appeal. What bothers me most is that I never heard this name until the actress. It seems oh-so modern and wholly tied to her. Personally, I prefer more history. While I can support and like many coincidental place names, having the name of an island/ country/ continent strikes me as a bit odd. I also think many a name civilian would get the pronunciation wrong. Maybe I have low expectations, but coming from the parent to Luckis and Esera – a.k.a Lucas and Ezra – I have my doubts. It recently made it on to my fave names list. I know a few little Isla’s here in Scotland but i still like it although it is popular here. DH – Island (or “Eesla”) isn’t any worse than Irelyn. Ha-ha. What about Scotlyn, for that matter? I can see the appeal of Isla, just like I can see the appeal of Ava and Mia. There’s something very modern and cross-cultural about these short, feminine names. Too bad they tend to explode in popularity. And, maybe I’m showing my lack of sophistication here, but I think I like the EES-la pronunciation better. Would it really be that strange, in a world of Trinitys, Brooklyns, and Dakotas, to name your child Island? Know what? I like Gloria better than Isla. Not that I think Isla’s awful or anything, she’s too “breathy” for me. Same problem I have with Seth & Hugh. She did, however, make a superb Gloria (even though I’m still trying to rationale sisters Claire & Gloria? Huh? What?) and is what spurred my re-interest in Gloria/Gloriana. I ususally am wary of celebrity names, as in my family, you never know when someone’s going to do something stupid that will tarnish the name. She’s new enough that I still worry (but swoon over her daughter’s name: Olive!) Is she still engaged to Sasha? I don’t pay attenion to much celebrity gossip. I do think Isla’s a lovely choice and a fairly comfortable one at that. Easy to spell and not too hard to figure out. Once you’ve got it, it’s memorable. And again, it beats a good handful of names in the top 50! You were pronouncing Ayla correctly! In the Eastern part of the world (where the name originated) it has always, and forever will be pronounced “eye-lah”. I don’t know where the “ale-lah” pronunciation came from. Very strange. […] help naming her third, gender unknown (but she thinks its a boy!). 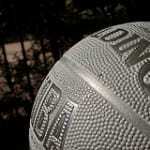 […] are searching for the next simple, two-syllable choice for girls.